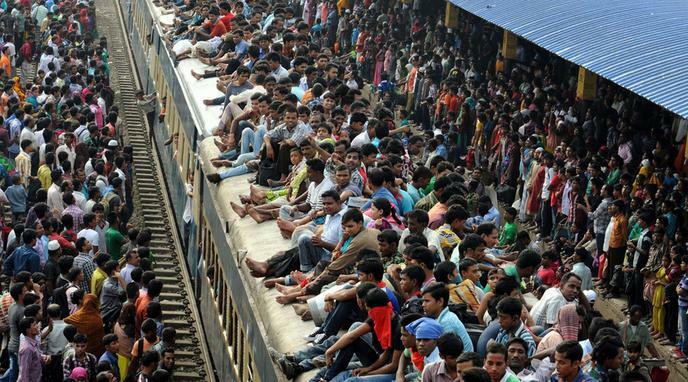 Overpopulation can be alleviated by a change in lifestyle. Rather than overpopulation, the main problems are overconsumption, unsustainable governing of resources and uneven distribution of population. Educating people in alternate ways of life could result in same population being relieved from many issues attributed to overpopulation. Cultural and lifestyle changes will enable self regulation and awareness. This way we will never experience a real overpopulatrion problem in the future. The problems you named are definitly the most urgent. But even when those problems are solved, you are just postponing the inevitable fact that one day, there are going to be too many of us walking around to sustain this planet. In nations that preach democracy and free enterprise, it is difficult to tell people to curb consumption, either by legislation or by public service announcement.